Nate Cook, M.D., Internal Medicine. Undergraduate at Montana State University. Medical school completed at University of Washington School of Medicine. Internship and residency in internal medicine completed at University of Utah Hospital and Clinics. Louisa Mook, M.D. ; Pediatric Medicine. Undergraduate at Wesleyan University. Medical school completed at University of Vermont School of Medicine. Internship and residency in pediatrics completed at Seattle Children’s Hospital (University of Washington). Chief year in pediatrics completed at Seattle Children’s Hospital. Hospital Medicine/Internal Medicine: Nate Cook, M.D. Emergency Medicine/Urgent Care: Freddy Bartoletti, M.D. (primary) – Douglas Dunham, D.O. – Jonathan Shellenberg, D.O. Family Medicine (Pintler Family Medicine): Matthew Graf, M.D. – Kira Conn, M.D. 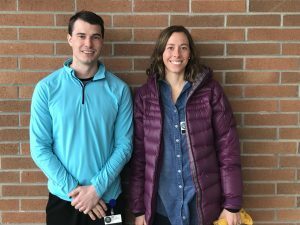 Pediatrics: Louisa Mook, M.D. – Maria Cook, M.D. – Gregory Schulte, M.D. Community Hospital of Anaconda (CHA) has full-time hospitalists based service with an arrayed spectrum of disease. Inpatient opportunities will be provided with Dr. Cook throughout rotation. There are also some opportunities for inpatient pediatric care with the Pediatricians. Community Hospital of Anaconda has 2 OB/GYN’s, 3 general surgeons, a neurosurgeon, 3 orthopedic surgeons and a Urologist. If interest there may be opportunities for surgical exposure in these areas. Child/Adolescent Psychiatrist: Deborah Rogers, M.D. Anaconda has recently increased volume of deliveries and is now averaging ~200 deliveries per year. There are 2 OB/GYNs and 1 family practice that provide all the obstetric care. There should be ample opportunities to be involved in obstetrical care and deliveries. Our Mission: In the spirit of our rich heritage, we provide a caring environment responding with excellence to the health care needs of those we serve. Respecting the dignity and recognizing the worth of each person is the foundation of our commitment to care. 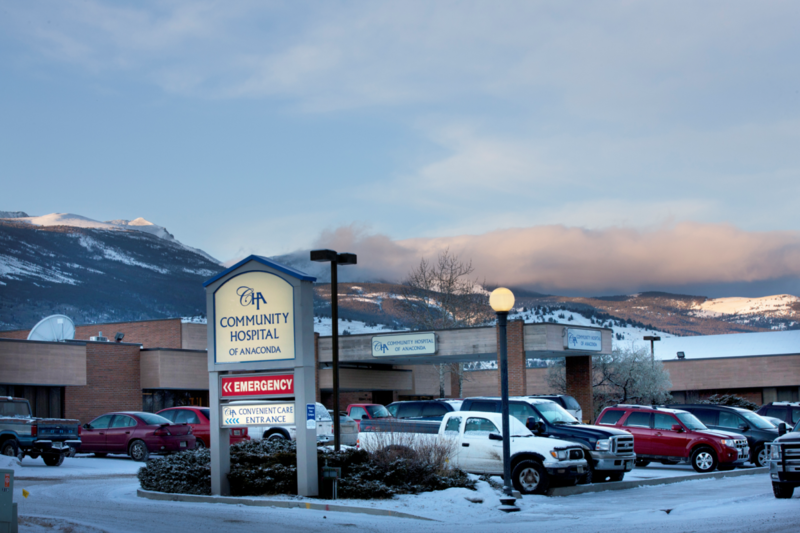 About Us: Community Hospital of Anaconda (CHA), located in historic Anaconda, Montana, has been serving the healthcare needs of Anaconda-Deer Lodge County (ADLC) and Southwest Montana since 1889. CHA has an extensive, talented medical community, featuring specialists in Family Practice, Pediatrics, Obstetrics, General Surgery, Neurosciences (Brain & Spine), Orthopedics, Emergency Medicine, Gastroenterology, Cardiology, Internal Medicine, Rheumatology, Endocrinology, Oncology and Ophthalmology. This team of experienced medical providers offers specialized services in our own community, alleviating the practical challenges of traveling distances to receive quality medical care. CHA has routinely been recognized as a “Top 100 Critical Access Hospital in America” and is recognized as a “Baby Friendly Hospital” and a twelve time recipient of the “Quality Achievement Award”. Becker’s Hospital Review named CHA a “100 Great Community Hospital” in 2013 & 2015 and as a “100 Critical Access Hospital to Know” in 2015. The Montana Healthcare Association recognized CHA with the Innovation in Health Care Award 2006-2008. Community Hospital of Anaconda offers a full continuum of care including Acute Care, Cardio Pulmonary Services, Convenient Care, Emergency Services, Laboratory Services, Medical Imaging, Nutrition Therapy, Rehabilitation Services, Pharmacy, Surgery, and three ambulatory care clinics with services including Internal Medicine, Family Medicine, Pediatrics and Obstetrics/Gynecology. CHA also offers Home Health, Hospice, Long-term Care, and a Surgical Clinic encompassing the specialties of General, Orthopedic, Spine and Brain. CHA will continue to assess community needs and will expand services as needed to meet those needs. Community Nursing Home of Anaconda is a 62-bed facility licensed by Medicare, Medicaid and the Veteran’s Administration. Respite care is also available. Nursing staff provides resident directed care to each individual residing within the facility. The level of care and nursing services provided are determined by the collaboration of the individual, and individual’s family or other as appropriate, the individual’s doctor and the interdisciplinary nursing home members. Nursing staff are committed to providing conscientious, competent care to each individual with an emphasis on caring. 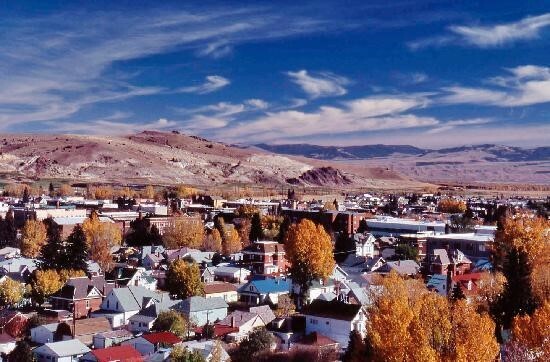 Anaconda and the surrounding area are alive with possibilities for everything from business to recreation. Within the community is a growing and walkable downtown business district with a coffee shop, bakery, salons, a fitness studio, clothing boutiques, home-goods shops and offices. Main Street is the entrance to Anaconda’s historic district, where the U.S. Post Office, the Hearst Free Library, the Deer-Lodge County Courthouse and the Washoe Theater are among buildings listed on the National Registry of Historic Places. All of those buildings are still being used. The theater is treasured by locals, and has recently upgraded to a digital sound and display to ensure the future of modern cinema in a historic setting. Just beyond the city limits, outdoor opportunities abound. Anaconda is surrounded by national forest land with abundant hiking, skiing and snowmobiling trails. Bountiful fisheries are only a short drive from town, including the Big Hole River and Georgetown Lake. Just beyond Georgetown Lake is Discovery Ski Area, a hill to satisfy both hard-core skiers and families. Skiers enjoy pulse-pounding vertical drops, a relaxed easy chair and everything in between. Within Anaconda, tidy parks offer entertainment for families, and The Jack Nicklaus-designed Old Works Golf Course sits atop land reclaimed from Anaconda’s copper-smelting hey-day. Social and entertainment activities have grown in number in recent years in Anaconda. The community plays host to the Goosetown Softball Tournament, Art in the Park, summer concert series’ at several venues, a community market, a Friday night summer event and more. These events not only provide activities for locals, but help maintain a tourist population that stimulates the economy. Volunteerism is part of the fabric of the community, and serves as an important networking tool for newcomers and existing residents. The Anaconda Garden Club, Anaconda Community Foundation, Copper Village Museum and Art Center, Parent-Teacher Associations, Anaconda Trail Society and Boys & Girls Club are just a few not-for-profit organizations that encourage civic involvement.